There is no better time than now to be a part of the American Marketing Association. 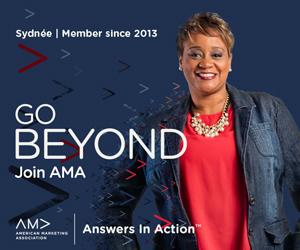 Whether you’re a seasoned professional or a full-time student, membership in the AMA is a must to stay up-to-date with a quickly shifting marketing place, and to stay one step ahead of your competition in the meantime. One of the nation’s most successful and active chapters is in your own backyard; what are you waiting for? Want to know more about becoming the newest member of Northeast Ohio’s premier marketing organization? Email us your questions, or better yet, Join Now!